In January, there were more people looking to purchase homes but fewer people signing contracts to buy. 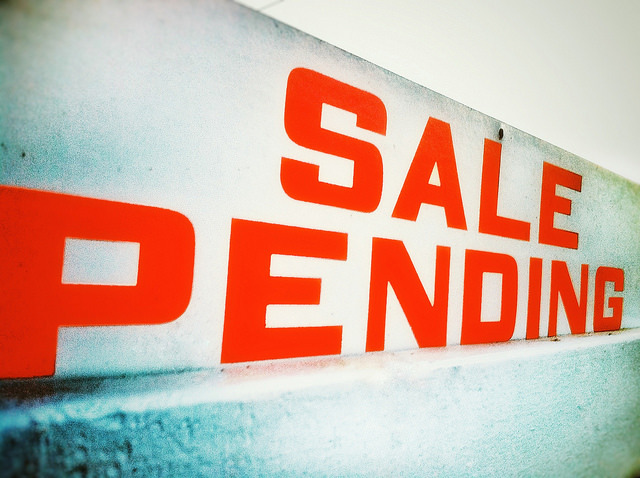 The numbers, from the National Association of Realtors’ Pending Home Sales Index, show that pending home sales – which refer to contract signings, not closings – were down 4.7 percent from the previous month. But, rather than a drop in home buying interest, the data may reflect something else. According to NAR’s chief economist, Lawrence Yun, it shows that there are too few homes available for the number of interested buyers. “The economy is in great shape, most local job markets are very strong, and incomes are slowly rising, but there’s little doubt [January’s] retreat in contract signings occurred because of woefully low supply levels and the sudden increase in mortgage rates,” Yun said. But though low inventory is an ongoing issue for the housing market, Yun believes a potential slowing of rent increases could lead to investors putting more affordable single-family homes up for sale this year, which could add to the number of entry-level homes available for first-time buyers. More here.